BW: 90 lbs. | WW: 799 lbs. | YW: 1000 lbs. 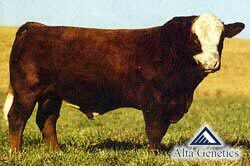 Tru-polled DNA tested Homozygous Polled. 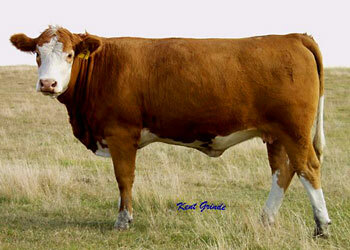 EDC Poll Magnum 1B (Our great mutation polled cow) x 2 in lineage is also direct grandmother. 8S will enter our embryo transplanting program in the future.